Tharpe & Howell, LLP, has provided quality legal services for over 40 years. 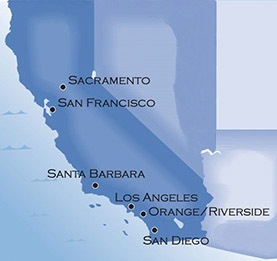 With branch offices throughout California, the Firm offers excellent employment opportunities to interns, law clerks, entry-level attorneys, seasoned attorneys, and staff in virtually every area of legal practice. Tharpe & Howell is proud to be an equal opportunity employer and is dedicated to offering competitive compensation and benefits commensurate with each selected applicant’s qualifications. If you are ready to join our high performance team, please email your resume to the Firm’s Managing Partner, Stephanie Forman, at sforman@tharpe-howell.com, or via fax to (818) 205-9942. All communications will be held in confidence.